Ancient Stones - Lothian - 050 Piper's Stone, The Green, Dirleton. The village of Dirleton is reached from the A198 road to North Berwick. 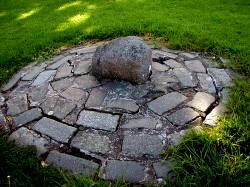 The stone is located on the south part of the village green, to the west of Dirleton Castle. Parking is available in a small car park to the west of Dirleton Castle. Although known locally as the Pipers Stone, there does not seem to be any factual evidence behind this naming. 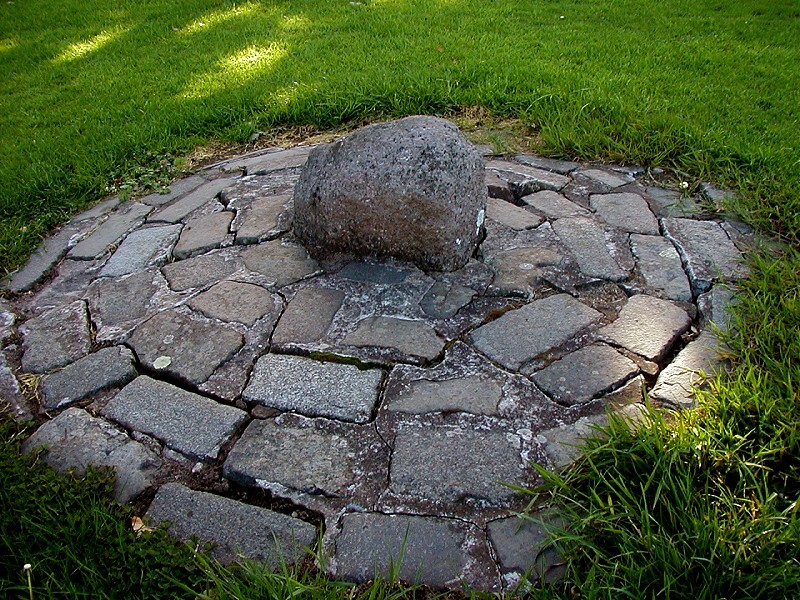 The Pipers Stone, due to it's rather small nature is easily missed and is far from being a grand standing stone. From its location on the village green of Dirleton it seems likely that what we see today is all that remains of the market cross that once stood on the site.